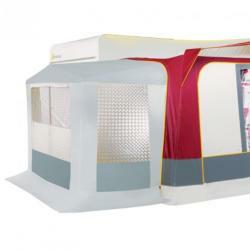 The user-friendly, light weight awning for installation in the caravan rail. The awning is operated by hand. The support arms and tension rafters are stored in the new, cylindrical front profile and all parts are stored in a PVC cover. 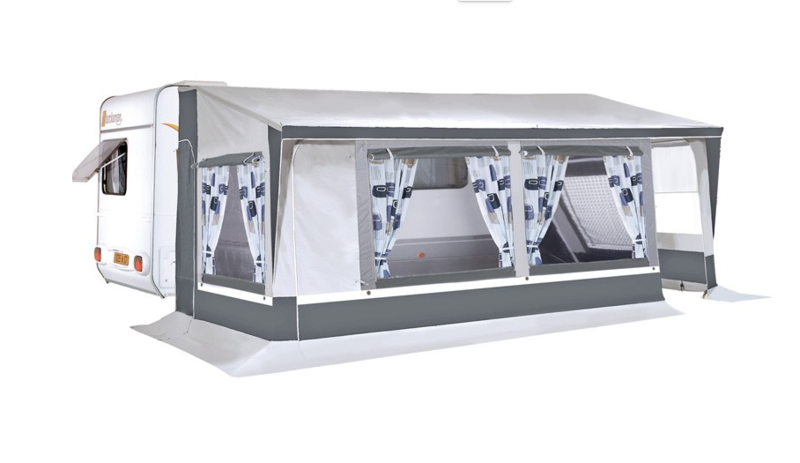 Your awning can be set up in seconds! 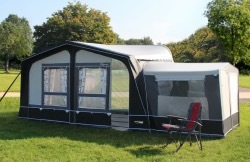 The Omnistor 2000 is a triumph of engineering, a simple but compact and robust unit houses the lightweight pull out awning with automatic roller system. The Omnistor 5200 is the completely new, innovative successor to the 5003. The Omnistor 5200 is available with white, black or anodised casing and in a variety of fabric patterns. 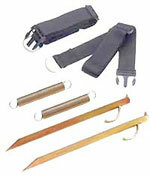 The sturdy and robust spring arms ensure rigid and maximum fabric tension. The Thule QuickFit is a lightweight awning tent which can be quickly and easily erected beneath the Thule & Fiamma awnings thanks to its very simple construction.